Today, an exciting revelation on the future of tech…specifically the technology in your pocket. We’ll see where it’s all going, according to the insights of the industry’s most prolific insiders. A crack-up story headlining our favourite Housing Minister. Poor Phil Twyford. He’s had his back against the ropes from the beginning…and with KiwiBuild, it’s getting worse. Over the past few weeks, we’ve been covering the snail-like progress of the ambitious silver bullet to our housing crisis. With fingers crossed, we hoped it would work…but common sense told us it wouldn’t. As we calculated back in July, KiwiBuild is only an option for families making between $116,000 and $180,000 (Based on the government-imposed ceiling and the mortgage-payment calculated floor). We reckoned this narrow range would become a major obstacle…and since then, that’s more or less become the case. So, like any well-indoctrinated politician, Housing Minister Phil Twyford has come up with a solution. Amend the ballot requirements? No. Refocus on the causes, not the symptoms? Heck no. Instead he’s decided to plop a Band-Aid on top of a Band-Aid. He’s launched a new scheme/grant system so folks can afford his KiwiBuild houses. That’s right. A government scheme to afford another government scheme. How convoluted is that? 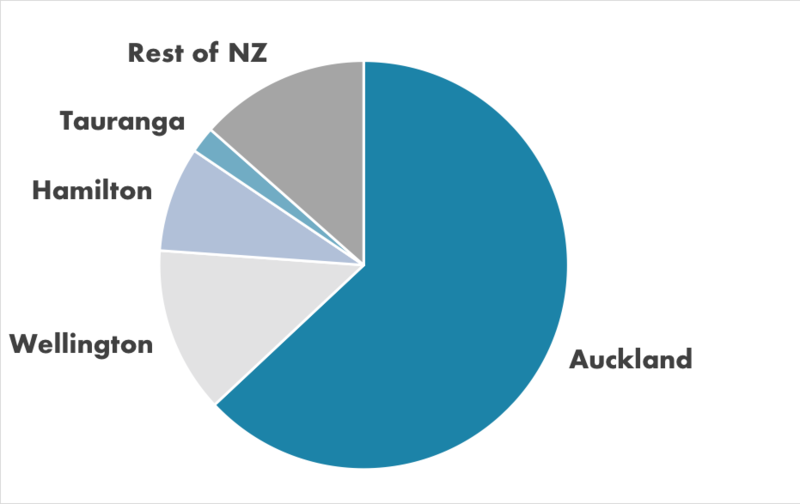 It’s still a work in progress, but it should eventually turn out like a state-mortgage system…where the government will subsidise/buy a portion of the KiwiBuild home for a discounted mortgage arrangement. It feels a bit like a doctor who has prescribed a medicine to counteract the side effects of another medicine he’s prescribed…that counteracts the side effects of another medicine he prescribed. Maybe we’d be better off without any of those pills in the first place…but that’s a hard pill to swallow. Back to today’s topic — the future of mobile tech. Your editor is a follower of prolific technology reviewer and guru Marques Brownlee. He’s a US-based expert on everything tech, but often focuses on mobile advancements. And if you think about it, mobile is a linchpin technology in today’s world. People might not have a laptop or a camera or a TV, but you’d have to look hard for someone without a cell phone. And, for many, it’s become an extension of their arm. They’re constantly holding it, fiddling with it, taking pictures, conversing, etc. Without it, they feel naked and out of place. Now, you may not feel that way. If so, good on you. But it’s an undeniable growing trend throughout the world — that the relationship between man and mobile has become nearly symbiotic. So you can understand that when an expert on mobile tech predicts a big shake-up, we listen. Because a change in mobile likely affects more people than a change in any other tech sector. That’s where Marques Brownlee comes in. He’s the kind of guy who carries three phones, a laptop and a smartwatch as his ‘everyday carry’. And he changes those phones, laptops and watches every two to three weeks. He’s constantly seeking out the newest, most innovative solutions…and that lifestyle has given him a unique insight into not only where mobile tech is, but where it’s going. In the world of mobile, there are lots of ‘fringy’ ideas out there that catch people’s attention. 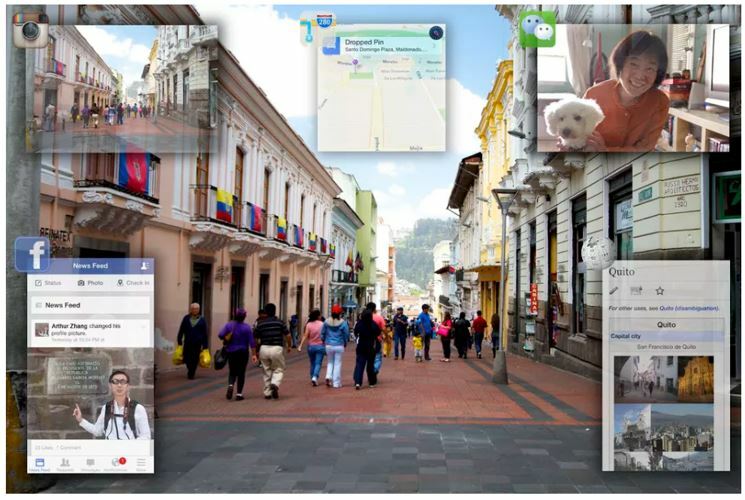 For example, Google Glass — the augmented reality glasses that display notifications to wearers. Or Samsung’s foldable phone — a smartphone that folds out to become a tablet. Or the Apple Watch — a watch with full phone capabilities, including calling and texting. Despite these exciting technologies showing promise and proof of concept, Brownlee is sceptical. He reckons that the future of mobile will always hinge on a phone…in your pocket…that you pick up to interact. Minority Report-esque holograms and augmented reality could become more commonplace but won’t ever replace that object in your pocket. 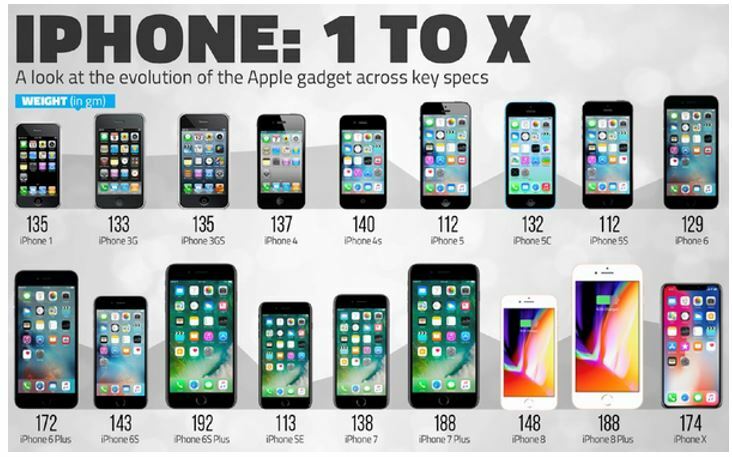 Furthermore, Brownlee thinks that we’re seeing the final form of phones today. That rectangular shape. About 16cm corner to corner. Mostly glass and metal. Smaller bezels. No buttons. So while it’s fun to imagine a future where our great-great-grandkids are surfing the web like Tom Cruise…flicking about projected pages in the air…the truth is, they’ll probably be holding a phone much like what you have today. Only the ‘guts’ — the hardware — and the ‘brain’ — the software — will be incredibly powerful and efficient. It will make our phones look like they run on dial-up. Don’t believe me? 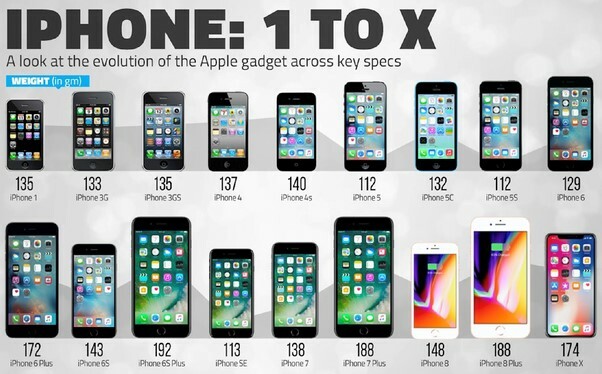 Take a look at this infographic showing the iPhone 1 to the X. Notice how the form hardly changes over the decade-long evolution. In summary, Brownlee reckons that besides more powerful guts, phones as we know them are here to stay. For investors, that’s a big deal. That means that mobile technologies built on phone platforms today will likely survive for many decades. It gives investors a reference point with which they can calibrate their portfolio. It also means that you’ll likely see continued growth on the hardware side with chipmakers and battery producers…and on the software side with app developers. And Kiwis are no stranger to home-run app stocks. Pushpay, for example, could have nearly tripled your money over the past two years. Here at Money Morning New Zealand, we’re taking Brownlee’s prediction as a waypoint on our journey to discover tomorrow’s big opportunities for investors like you. We’ll be paying close attention to NZX and ASX-listed companies in the mobile sector…and we’ll size them up against Brownlee’s expert view on the future of mobile tech. Expect that specific analysis — future opportunities in the world of mobile — in upcoming issues of Money Morning. Until then, keep an eye out for mentions of these sorts of businesses in the news. You could be looking at New Zealand’s next pot of gold. PS: In case you’re wondering, we have zero affiliation with Marques Brownlee or Joe Rogan. Your editor is just an avid follower and likes what they have to say. If you’re interested in more of Brownlee’s content, you can check out his YouTube channel here.